TEAM DETAILS: Teams of 3. Cross-college teams allowed. 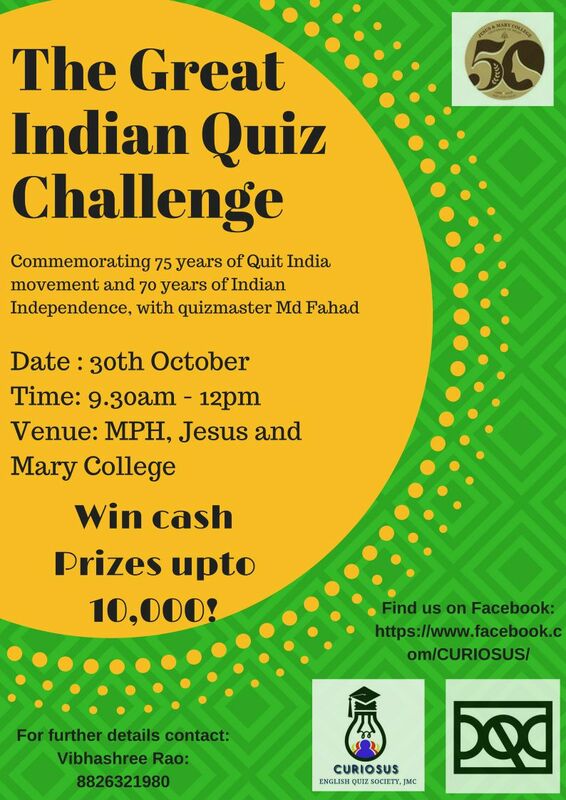 Revisit one of pre-independent India’s pivotal moments – the QUIT INDIA MOVEMENT, as we commemorate its 75th anniversary through an epic quizzing battle, to be hosted by QM Mohd. Fahad, DQC.